May 2012: I have been receiving feedback from homeowners that they are being told by certain contractors that their municipality requires soil samples and or special reports for residential tank removal. To the best of my knowledge this is not true. Other than the village of Winnetka, which requests a soil sample after a tank removal, there are no requirements for soil samples or reports. Check with you village hall to be certain. 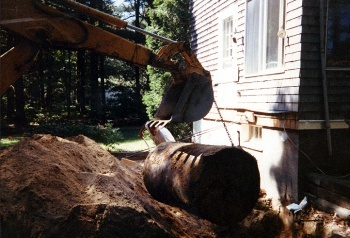 Cicero Oil Company is a licensed, full-service underground tank removal company serving both residential and commercial customers. 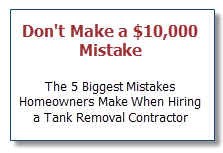 We have over 20 years of experience helping Chicagoland home owners and businesses with underground storage tank (UST) and oil tank removal servicing. Cicero Oil company employees are trained to conduct environmental work and retrained annually.